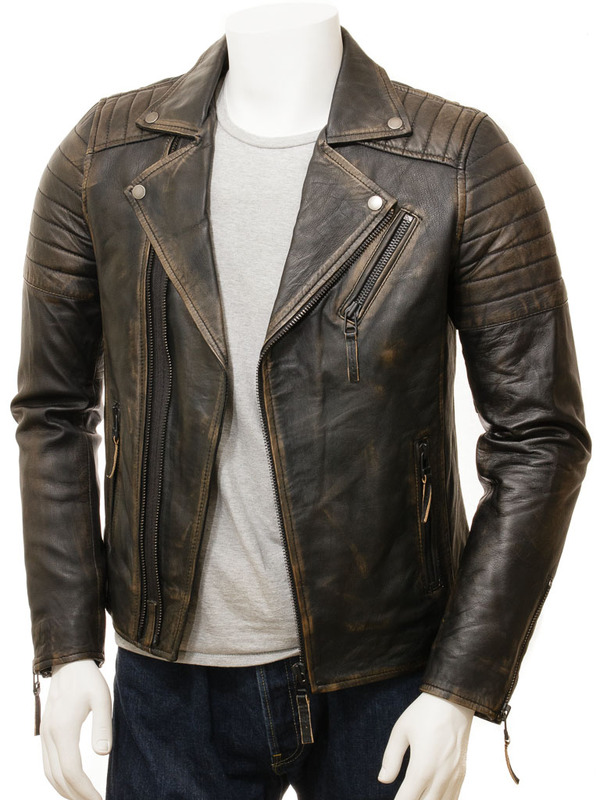 A vintage styled leather biker jacket with two zips for fit adjustment. 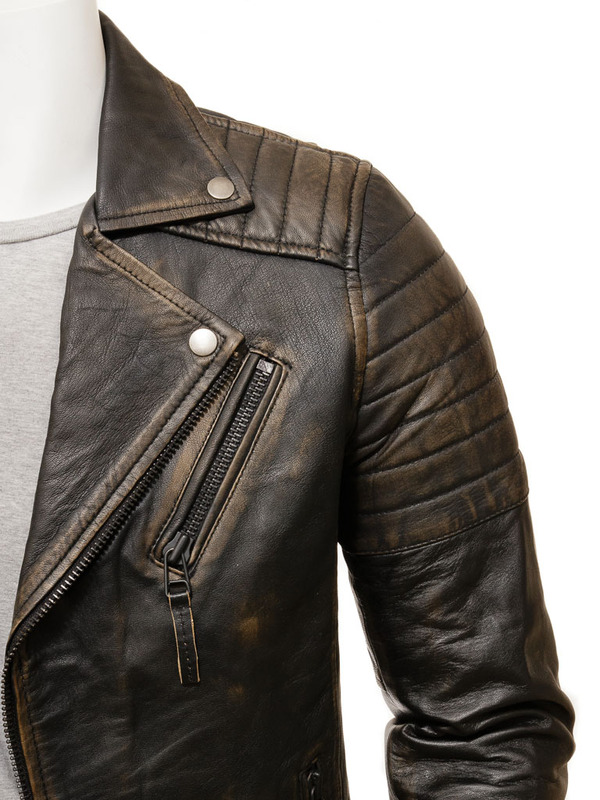 The classic asymmetric zipped biker jacket but with a twist. 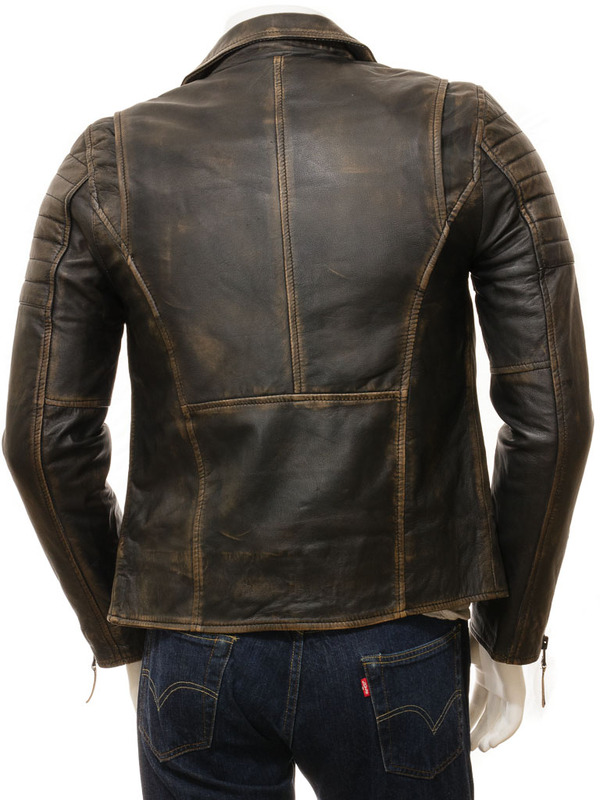 Crafted from a sheep nappa leather with a beautiful suppleness that has been deliberately aged. 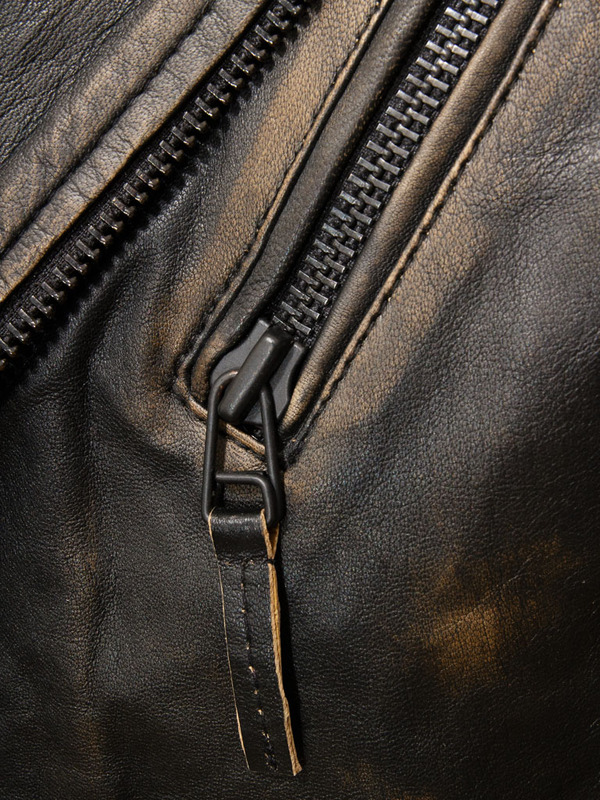 Two YKK zips run up at an angle over a double breasted front which enables the wearer to choose how slim fitting they want the jacket to wear. A notched collar can be buttoned right up and there are three zipped pockets on the body. zips also appear at the cuffs with gauntlet openings. On the inside this jacket is fully lined in satin. 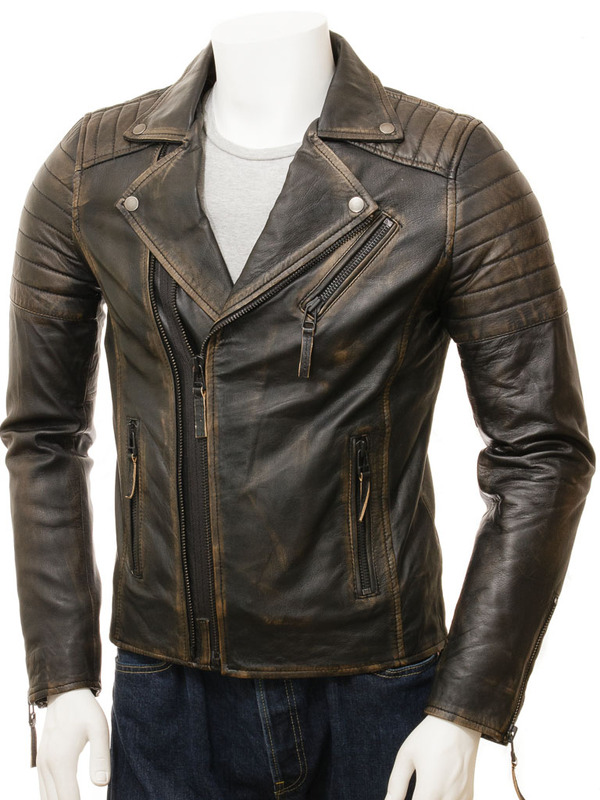 It incorporates two additional, leather trimmed pockets, one of which is zipped.